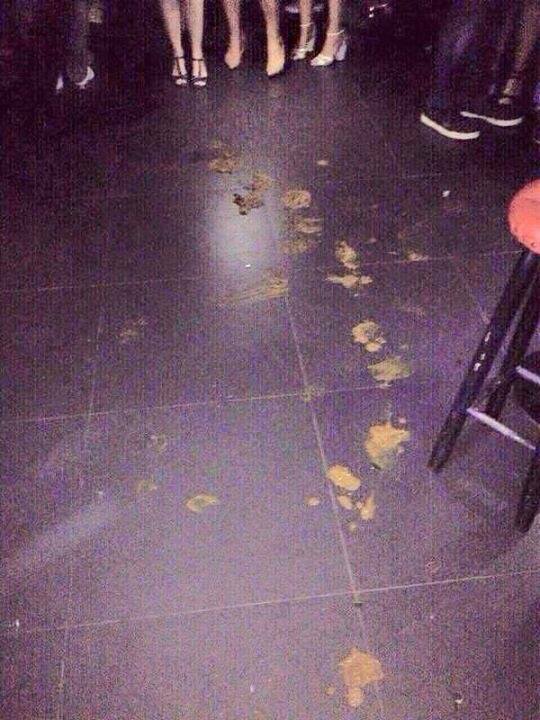 Home » »Unlabelled » This Is Why You Should Stay At Home If You Have An Upset Stomach…Party Girl Poops On The Floor! This Is Why You Should Stay At Home If You Have An Upset Stomach…Party Girl Poops On The Floor! We are always advised to stay at home and rest if we felt something is wrong with our body, especially with having an upset stomach. But some of us sometimes ignore this advice for various reasons, some are important yet most of it are not. Being a weak child before (still a bit weak now I’m older, LOL! ), I also have a weak stomach, so I learn not to take chances going out with a rumbling tummy. 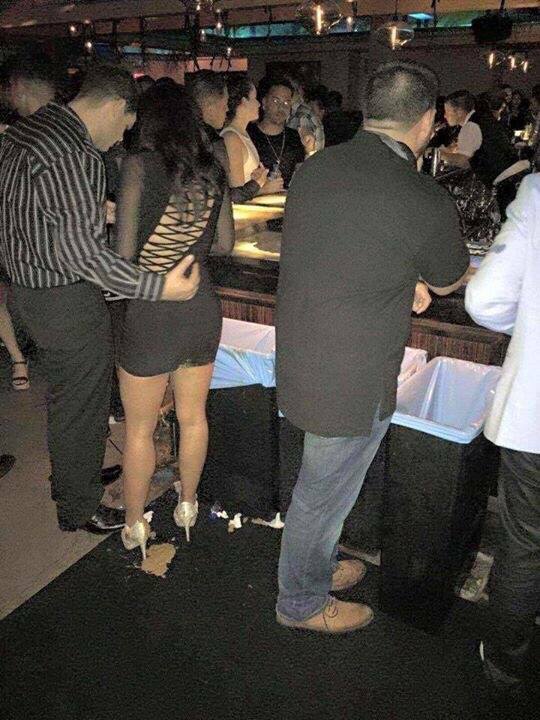 And to prove not to disregard your distressed belly, here’s some disgusting images of a party girl who unloaded poops all over the floor of a nightclub that has been circling around the web. Warning: You may find these images disgusting, gross and embarrassing! Finally, nature strikes back, her tummy started to get wilder than the party and when she can’t hold it, boom! Poop scattered all over the floor, this party girl officially became a PARTY POOPER literally! Honestly, this is not funny, it’s gross and embarrassing. Let this be a lesson to everyone to avoid self-induce humiliation knowing that you have an upset stomach and still push through with lesser important event than take care of yourself.